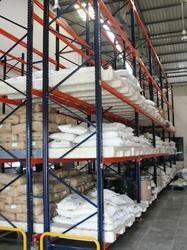 These are designed to develop storage space capacity of plants and warehouses of varying shapes, sizes and weights. These racks are attached as well as bolted frame structures, fabricated from high yield cold formed and special sections with slots at 50 mm. The beams are box sections of varying depths and thickness and can have width up to 3 mts, catering to different load capacities. 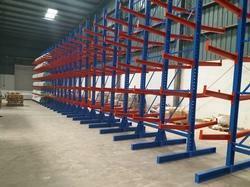 WE ARE MANUFACTURING AND SUPPLIER FOR CANTILEVER RACKS. Cantilever rack is designed for single and double sided column use. Cantilever columns are pre-punched on both sides for conversion from single-sided to double-sided layouts. We Are Manufacturer for HDS Racks. Our reputation in the market is largely attributable for manufacturing and supplying Slotted Angle Racks. 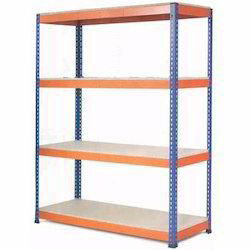 It is used in various industries for storing items in an organized manner. This structure has beams that are easily adjustable. Every row of rack is trailed by an aisle for movement of material handling equipments thereby providing complete accessibility to all pallets stored. • A boltless, chip-on heavy-duty storage systems that are easy in installing and shifting. • Custom built for any load, width and height. 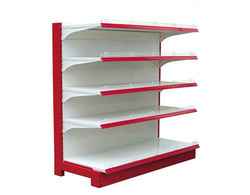 • Ideal for Palletized and Non-Palletized Stores. 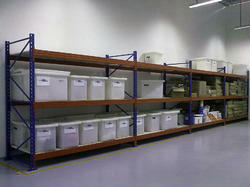 This is ideal for warehouse, pharmaceuticals, Chemicals, logistics & industrial stores. 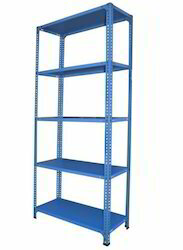 Being a client-centric organization, we are engaged in manufacturing and supplying Long Span Rack. This structure has beams that are easily adjustable. Every row of rack is trailed by an aisle for movement of material handling equipments thereby providing complete accessibility to all. • Cold formed light gauge sections with high strength to weight ration. 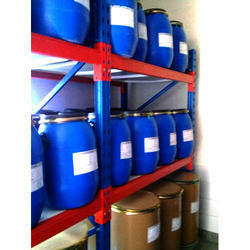 Used in various industries for keeping products.